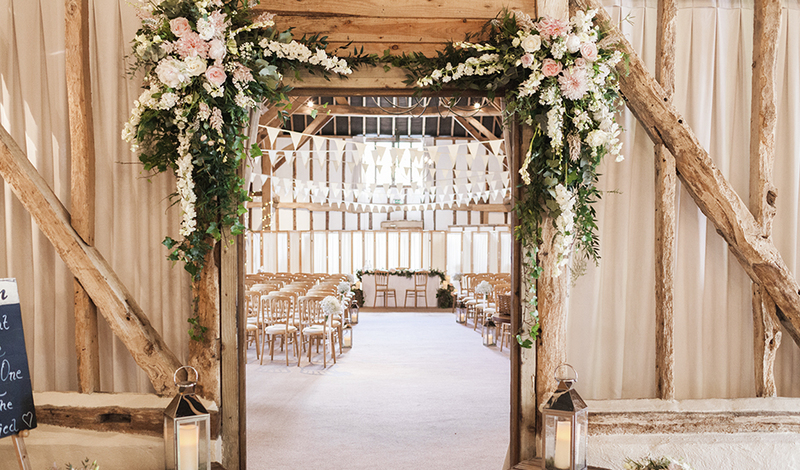 So many wedding decorations now feature foliage and at Clock Barn, we love this trend. 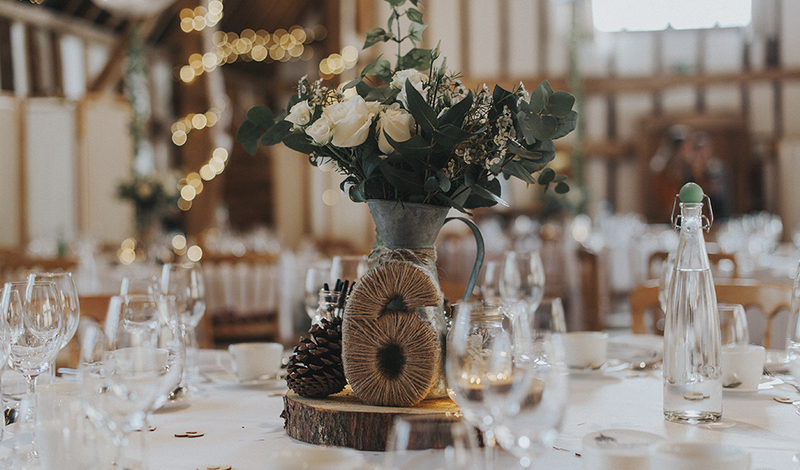 Foliage is perfect for creating a stylish, rustic look for a barn wedding and it also brings a really natural look to your big day. Eucalyptus is the foliage of the moment and when you see how beautiful and flexible it can be, you’ll fall in love with it too. Let’s hear it for Eucalyptus! You might know eucalyptus as something that makes you feel better when you’ve got a cold or even as a koala’s favourite snack but there’s way more to this fab foliage than that. There are actually over 700 varieties of eucalyptus and all of them are said to represent healing and protection. But, it’s definitely the gorgeous colours and shapes that make eucalyptus a favourite of couples everywhere. So, how can you use eucalyptus in your wedding? Well, it looks absolutely amazing as a structural foliage in bouquets. 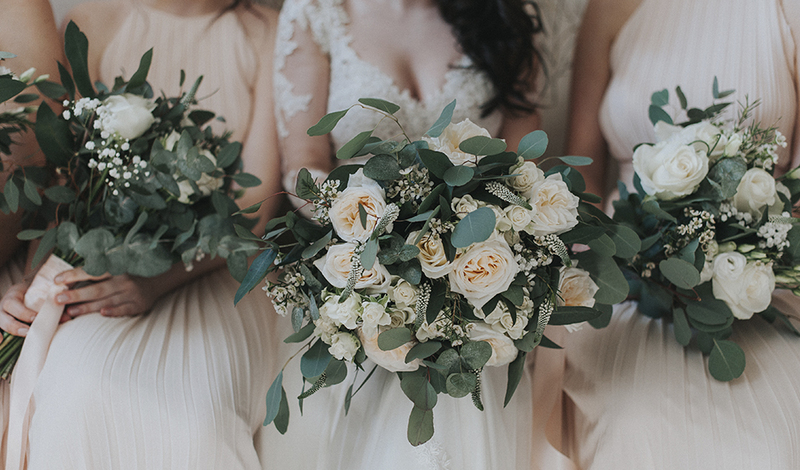 Its leaves work really well against romantic blooms such as roses and peonies and its wonderful with blooms of all colours including blush tones, neutrals and pale pinks. If you’re dreaming of a large, romantic looking bouquet then eucalyptus is perfect as it adds shape without adding too much weight and it’s more cost effective than using flowers too. Eucalyptus is also great included in your table centres. Again, it’s a wonderful ‘filler’ meaning that you don’t need so many expensive blooms and the lovely colour of eucalyptus means that it also highlights the flowers that you do use. Use eucalyptus in all kinds of containers from galvanised buckets, jars, vases and even tins. We also love seeing large, statement floral installations at Clock Barn. These look particularly delightful as a backdrop to your marriage ceremony or above the entrance to your wedding reception. Floral arches are making a big comeback right now and eucalyptus gives a fabulously rustic feel to the design. 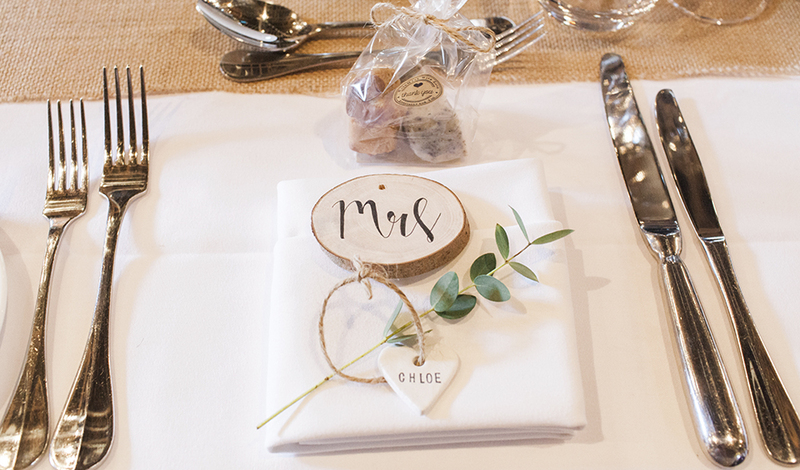 Decorate each place setting with a sprig of eucalyptus to bring a touch of natural colour to your tables. 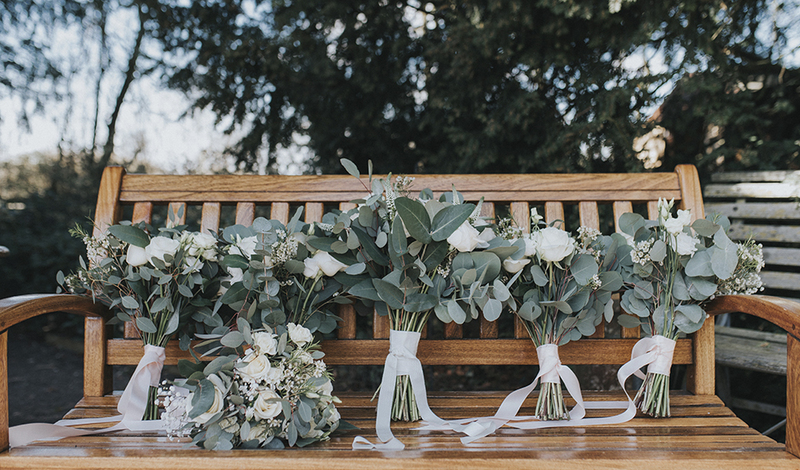 Use eucalyptus to create a simple foliage garland above your wedding signage. Add eucalyptus ties around cocktail tables or chairs. Don’t forget the buttonholes! Include eucalyptus in these too. Decorate your cake with eucalyptus instead of flowers. 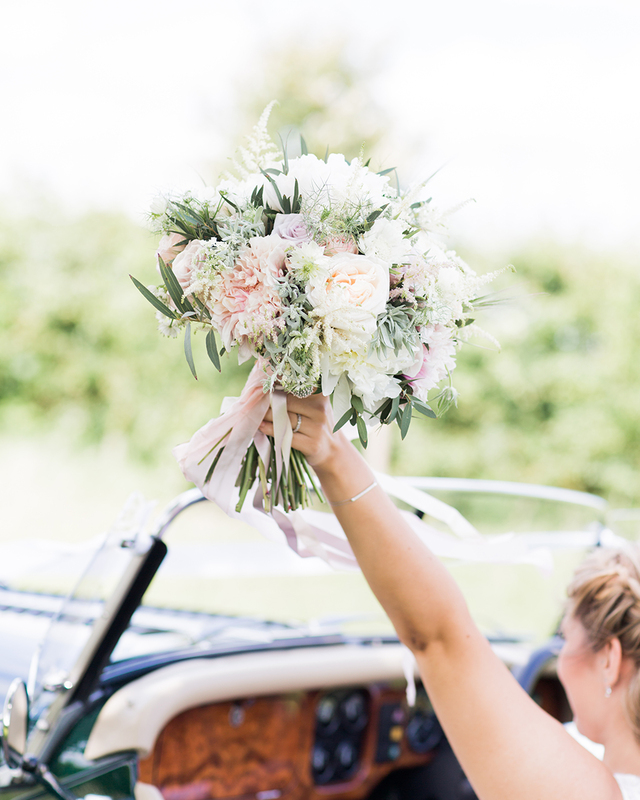 You can even use eucalyptus as an alternative to petal confetti! Eucalyptus makes a robust alternative to flowers for crowns. These are perfect for younger bridesmaids. Have you fallen in love with eucalyptus now? If so, why not talk to your florist about including more fantastic foliage in your decorations. Your florist will be able to source pristine eucalyptus for you but if you want to DIY, seek out your local flower market or wholesaler. Now, it’s time to start planning your wedding decorations – we can’t wait to see what you come up with! If you’re looking for more inspiration for your wedding decorations then don’t miss this feature that’s full of romantically rustic wedding ideas. We know you’ll love them as much as we do.